Birmingham had a tempestuous history involving the Civil Rights movement, making it one of the most sought-after historical cities for student groups learning about the era. Built to be one such educational attraction, the Birmingham Civil Rights Institute represents the struggles, events, and successes of the movement in the 1950s and 1960s. Located in the Civil Rights District, the Institute is nearby other significant sites such as the 16th Street Baptist Church which once served as the movement's organizational headquarters, as well as Kelly Ingram Park and others. Within the interpretive research center, your student group can see amazing installations of sculptures, art, historic artifacts, and true-to-life retellings of events as they occurred. Allow your students the opportunity to wend their way through history via exhibits depicting the history of African American society in America and their push for civil liberties, equality, and integration. 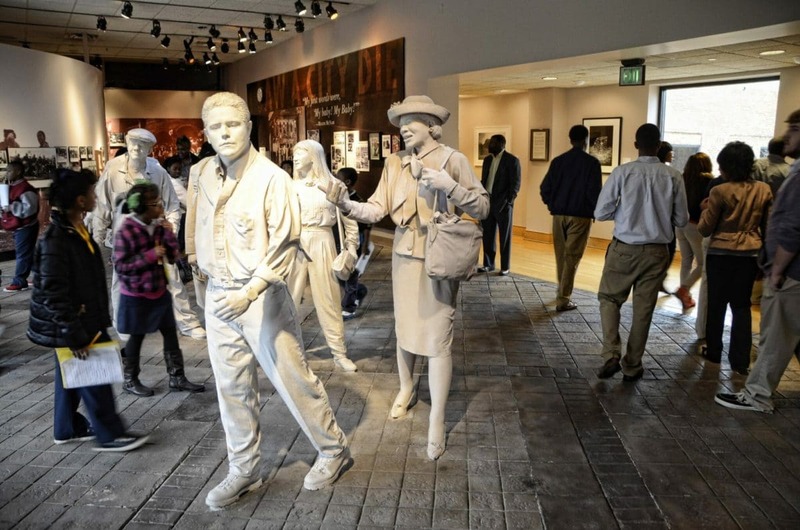 A Smithsonian affiliate, the Birmingham Civil Rights Institute is a stunning example of an educational attraction focused on the incredibly important era of civil rights struggle. Here, your students will be able to see firsthand how the movement effectively changed the face of American society for the better and learn about those who made it happen.